While the word binary is often associated with programmers working in the Seattle’s high tech industries, we create different software – quilts. For this challenge, we explore the simplest definition of binary, “consisting of, indicating, or involving two”, by using only two colors in our quilts. 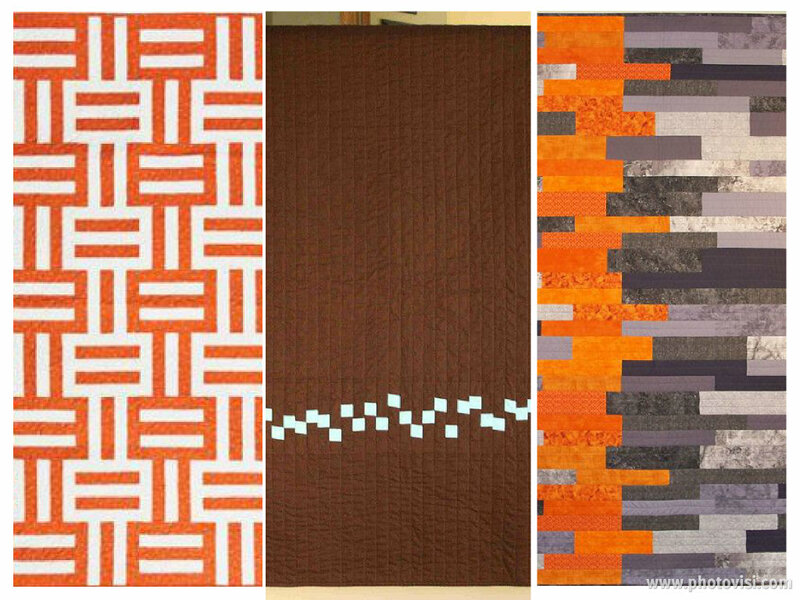 For inspiration, check out the two-color quilt board on the Seattle Modern Quilt Guild Pinterest site. But don’t surf too long, your quilt is due on December 7 so it can be exhibited at Island Quilter on Vashon Island in January. Your quilt must be only two colors. For example, red and white or turquoise and brown are both two-color combinations. A combination of two colors with a neutral is three colors. For example, green and blue with gray background is a three-color combination. All values of your two colors may be used. For example, your reds may range from pink to dark red. Unless orange is your second color, you may not include orange with your reds because it is a combination of red and yellow and is a separate color. Both solids and prints may be used in your quilt. Prints must be predominately one of your two colors. Your quilt must be two layers of fabrics with batting between them and secured with quilting. Your quilting can be done by hand, machine, or both. Submit your quilt in a bag which also has your name and contact information on it. Pillow cases make excellent quilt bags. To be exhibited at Island Quilter on Vashon Island, challenge quilts are due at the December Seattle Modern Quilt Guild meeting on December 7, 2013. Brilliant and I can’t wait to see it! Don’t change a thing. The challenge guidelines say you can use both solids and prints.